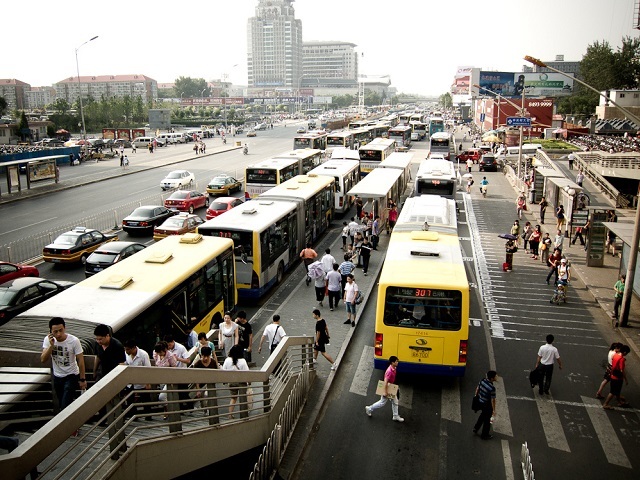 Well-designed bus rapid transit is one way for cities to improve traffic safety. 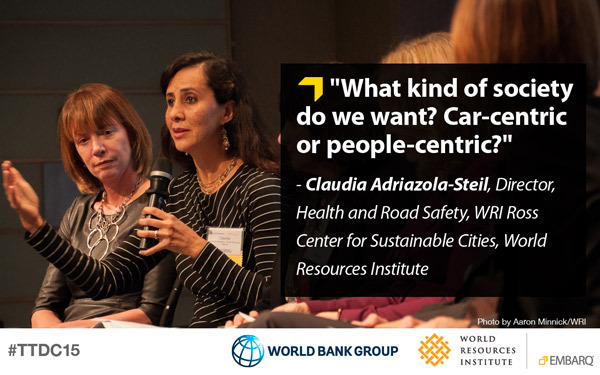 This was one of many strategies described by panelists at Transforming Transportation for how cities can accelerate efforts to improve road safety in the face of rising motorization. Photo by Jamie Manely/Flickr. Improving traffic safety can help make cities more sustainable, economically viable, and healthy. But more than 1.2 million people die in traffic crashes worldwide, and car ownership is rising around the world. Responding to this challenge, the UN General Assembly declared 2011-2020 as the Decade of Action for Road Safety, and resolved to reduce global traffic fatalities by 2020. So how are we doing at the mid-point of the Road Safety Decade? Janette Sadik-Khan, the former commissioner of New York City’s Department of Transportation, said the city now has some of the lowest traffic fatality rates in the United States. 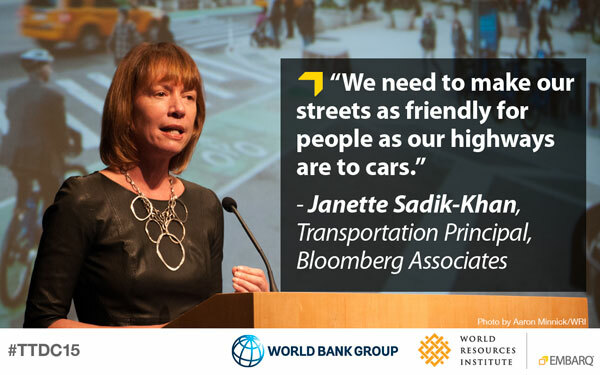 “It’s not just because New Yorkers are terribly nice or good drivers… but because of a lot of hard work,” she said in a panel discussion at the Transformation Transportation conference at the World Bank on January 15. Claudia Adriazola discussed new research that shows implementing bus priority systems can reduce severe and fatal crashes by 50%. Adriazola, along with other panelists, advocated for a Safe System approach that acknowledges humans are fallible. It focuses on improving planning and road design systems to save lives. Stemming traffic crashes in developing countries is often a matter of “Partnership, partnership, partnership,” according to Anne-Valérie Troy, director of Sustainable Development for TOTAL. Because many parts of Africa lack regulation and technology that would aid this effort, TOTAL has tightened its own standards for trucks operating there. Technology has also helped, she said: computers installed on trucks transporting TOTAL products in Africa monitor vehicle speed. “We can train them or sanction them if they do not respect the standards we impose on our transporters,” Troy said. Stay tuned for continued coverage of Transforming Transportation tomorrow on TheCityFix! In the meantime, join the conversation online using hashtag #TTDC15 and by following @EMBARQNetwork and @WBG_Transport on Twitter.